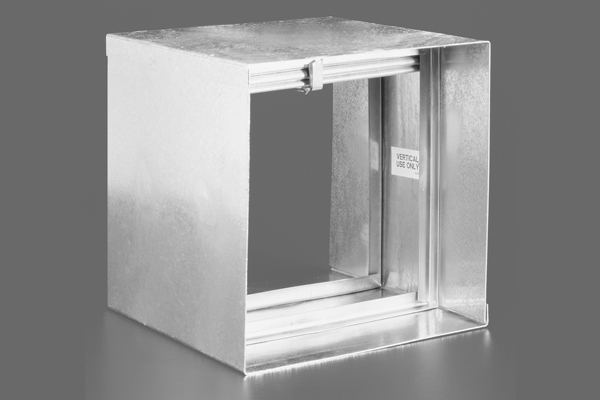 Standard 22 gauge galvanized steel sleeves for use with Type A, B, and C curtain type fire dampers. Assembled at the factory, each fire damper/sleeve ensures appropriate UL approved installation. Available for both static and dynamic system applied fire dampers. Assembly meets all UL and NFPA requirements for primary fire dampers, and carries a UL555 classified fire damper label. Dampers are mounted in the center of the sleeve as standard. Optional off-center mounting locations are available.